SuretyGroup.com writes surety bonds for potash drilling in Michigan. North-central Michigan is potentially sitting on 65 billion dollars. 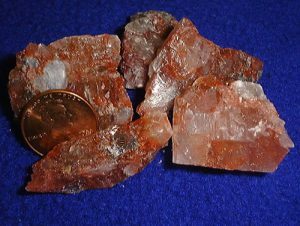 About 1 ½ miles underground is a potash reserve developed from an ancient sea, with possibly the best potash available in the world. Potash is a salt that contains potassium, an important ingredient for crops, which farmers use for fertilizer. U.S. farmers use around 10 million tons of potash a year, but currently, the U.S. only mines around 300,000 tons yearly. Once mined, this would be a huge boon to Michigan’s economy. The Oil, Gas and Minerals Division of Michigan’s Department of Environmental Quality regulates several mining industries in the state to ensure the protection of the environment, property, and public health and safety. The Natural Resources and Environmental Protection Act requires financial assurance from those who are operating mineral wells, which includes potash mining. This ensures compliance with the Act, along with compliance with state laws and regulations. Financial assurance can include a cash bond, certificate of deposit, letter of credit, surety bond, or statement of financial responsibility. Contact the Surety Bond Specialists at SuretyGroup.com for a free quote that fits your specific needs. Call 844-432-6637, or email info@suretygroup.com to get started.